When the sun goes down and the moon comes up, curious cats head out for the evening. 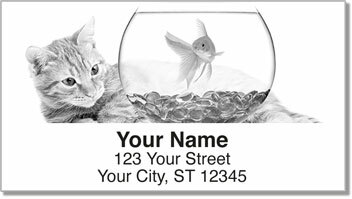 These return address labels feature original illustrations of felines looking for a little adventure in the night. 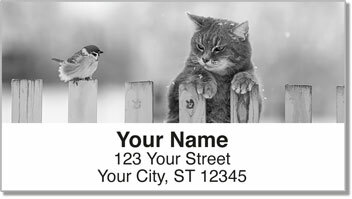 It's a unique way for cat lovers to label their mail. The style is subdued, so if you aren't a fan of cutesy kitties, this is an excellent choice. But the big benefit is that your new labels are self-adhesive. 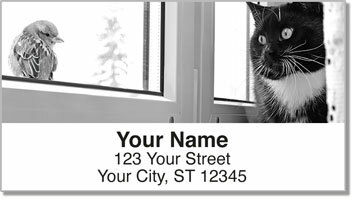 That means you don't have to worry about writing your name and address on every envelope time after time. Never again! Now you can just peel, place and move on with your day (or night)! 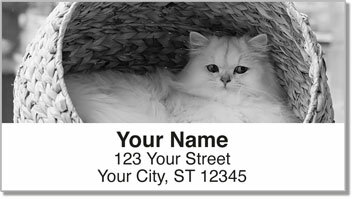 Get your own Nocturnal Kitty Address Labels from CheckAdvantage. Order them with a set of matching checks!